Can't attend the entire festival? You're in luck—we offer a limited number of single tickets for select Sled Island shows each year. 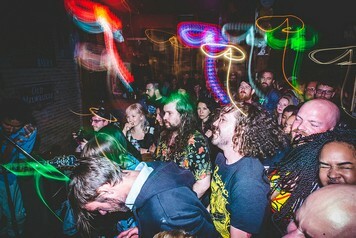 A limited number of advance tickets are available for select Sled Island shows each year. Advance tickets guarantee show access. Purchase online or in person at Sloth Records (736b 17th Ave. SW) or Lukes Drug Mart (112 4th St. NE). If you experience a technical difficulty while trying to purchase advance tickets, please contact our ticket provider, Showpass, at 1-844-307-SHOW.